Usually for single-mode fiber optic transceivers, the interface will be designed as LC duplex type. And for these optical modules, it will be easy to achieve structured cabling by using single-mode LC duplex infrastructure. But for 40G QSFP+, some single-mode transceivers do not follow this common rule. For example, 40GBASE-PLRL4 is a single-mode module supporting a transmission distance up to 1 km, but it has to be connected with an MTP/MPO-12 UPC connector. When migrating from 10G to 40G network using 40GBASE-PLRL4 modules, both single-mode LC duplex cable and single-mode MTP/MPO cable will be used. This article will take Arista QSFP-40G-PLRL4 and SFP-10G-LR optical modules as examples to explain several interconnect solutions for them. Arista 40GBASE-PLRL4 QSFP+ module is designed with a single-mode parallel MTP/MPO port. It can support a maximum link distance of 1 km on single-mode fiber operating at 1310nm wavelength. Arista 10GBASE-LR SFP+ module also has a single-mode port but its interface is LC duplex type. This SFP-10G-LR transceiver supports a long transmission distance up to 10 km over single-mode fiber operating at 1310 nm. Both of them support digital and optical monitoring. In the first solution, a breakout cassette is used to move one 40G signal to four individual 10G signals. A 40G MPO cable is used on the QSFP-40G-PLRL4 side and four LC uniboot cables are connected to four SFP+s. The MTP/MPO equipment we used in this solution and the solutions below are all aligned as polarity B type. Figure 1: interconnect for single-mode QSFP+ and SFP+ with MPO-12 to LC cassette. The second connection is a very cost-effective solution for three QSFP-40G-PLRL4 to twelve SFP-10G-LR modules. Here the three breakout cables on the left are female MPO to 4xLC 8 fibers harness. Then by using two 6 LC duplex adapter panel, the three groups of 40G signals are divided into two groups that each has six 10G network devices. In this link, no fiber or port is wasted. Besides, it also allows flexible location of the QSFP+ modules, like in different chassis. By using customized bend insensitive single-mode LC duplex fiber patch cable, high performance transmission at longer lengths can be achieved. Figure 2: interconnect for single-mode QSFP+ and SFP+ with MPO-8 to LC harness cable. The next solution illustrated in figure 3 is a bit similar to the previous example in figure 2. It is also for three 40G parallel and twelve 10G duplex single-mode optical transceivers. But it is an application of MTP conversion harness cable and breakout patch panel. Here we used 3×8 strand MTP (female) to 2×12 strand MTP (female) single-mode conversion harness cable to connect the three QSFP+ transceivers to the 96 fibers 12xMTP/MPO-8 (male) to LC single-mode 40G breakout patch panel. Twelve LC uniboot patch cables are connected to the SFP-10G-LR transceivers. Figure 3: interconnect for single-mode QSFP+ and SFP+ with 2×3 24-fiber MTP conversion harness cable. The last interconnect solution is for two single-mode QSFP+ and eight SFP+ modules. Here another type of MTP conversion cable is used. It is a 2×12 strand MTP (female) to 1×24 strand MTP (female) single-mode conversion harness cable. A 24 fibers male MTP-24 to LC UPC duplex single-mode cassette is used to connect the MTP-24 connector and the eight LC duplex connectors. Low loss LC uniboot cables are again used for this high-density cabling. Figure 4: interconnect for single-mode QSFP+ and SFP+ with 1×2 24-fiber MTP conversion harness cable. This post introduced four interconnect solutions for single-mode parallel QSFP-40G-PLRL4 transceiver and single-mode duplex SFP-10G-LR transceiver. In order to meet different requirements, different equipment is deployed in different examples. Hope that these connections can be a guide for your single-mode network and can work well in specific applications. Commonly, QSFP+ transceiver designed with LC interface works with single-mode fiber for long distance application, while QSFP+ transceiver with MTP/MPO interface is used over multimode fiber for short distance transmission. For instance, 40GBASE-ER4 QSFP+ is designed with LC duplex interface, and it supports maximum transmission length of 40 km over single-mode LC duplex fiber; 40GBASE-SR4 QSFP+ with MTP/MPO interface supports a transmission distance no more than 150m over multimode fiber. However, in order to meet user’s diverse needs in real applications, some 40G transceivers are designed not following this rule, like 40GBASE-PLRL4 (parallel LR4 Lite). This transceiver is with MTP/MPO interface design but is used over single mode fiber for long distance transmission. This article will introduce the MTP/MPO specifications for this transceiver and its deployment cases. QSFP-40G-PLRL4 transceiver uses MTP-12 interface to achieve parallel transmission, supporting maximum data links up to 1.4 km. The cable type required for 40GBASE-PLRL4 is an APC (angle polished connector) single-mode MTP-12 cable. The cable is similar to the 40G-SR MTP or MPO, with the only change being the use of single-mode fiber. UPC (ultra-polished connector) is another type of connector for MTP-12 cables, but it is not suited for single-mode fiber in the market. APC is the only available type for single-mode MTP-12 fiber. The MTP-12 connector plugged into the QSFP-40G-PLRL4 transceiver carries the 40G signal over only 8 of the 12 fibers, remaining four fibers unused, and these four can optionally be not presented in the cable for an economic reason. The used 8 fibers are mapped as 4x10G Tx and Rx pairs. In addition, the MTP cables connected to QSFP-40G-PLRL4 transceiver can be either MTP trunk cables or MTP splitter cables. 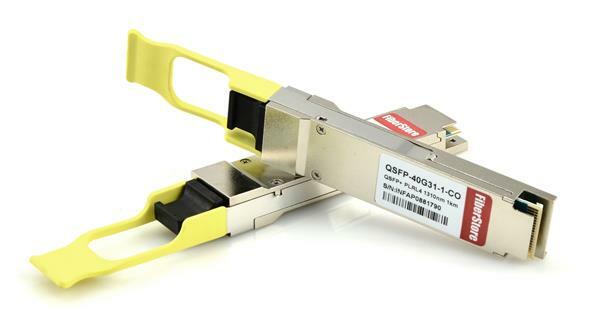 The QSFP-40G-PLRL4 is optimized to guarantee interoperability with any IEEE 40GBASE-LR4 and 10GBASE-LR. So when the link for 40G network and 10G to 40G migration is less than 1.4 km, it will be very appropriate to use 40GBASE-PLRL4 QSFP+ transceiver with single-mode MTP cables. In the first case, you can choose an MTP trunk cable together with the 40GBASE-PLRL4 QSFP+ module for direct 40G connection. The following picture shows two 40GBASE-PLRL4 QSFP+ transceivers connected by a single-mode 12-fiber MTP trunk cable. In the second case, you can simply use an 8-fiber MTP to 4xLC duplex harness cable with one 40GBASE-PLRL4 QSFP+ and four 10GBASE-LR SFP+ to achieve 10G to 40G. You can see in the above two cases, MTP cable plays an important role and due to the special requirements of 40GBASE-PLRL4 for single-mode MTP fiber, it is necessary to choose the right MTP products connected to this 40G QSFP+. 40GBASE-PLRL4 QSFP+ module has special interface design which can be only compatible with single-mode MTP connector. During the deployment of 40GBASE-PLRL4 QSFP+ module, selecting proper MTP assemblies are essential to successfully accomplish the link. FS.COM is a professional fiber optic transceiver vendor and MTP product manufacturer, supplying compatible 40GBASE-PLRL4 QSFP+ transceiver of different brands, such as Cisco, Arista, Brocade, Huawei, etc. Also, other customized compatible brands are available for your requirements. MTP cables and assemblies are available for same-day shipping at low prices, including customized 8 fibers MTP/MPO trunk cable. You will be surprised to see how many kinds of network devices FS.COM can offer and you will get more than cost-effective products but also impressive service. In June of 2010, the IEEE 802.3 ba 40G/100G standard issued. The Standard Approval timeline for IEEE 802.3ba is depicted in the figure. It makes me looking good forward to its development in the future. Traditional 10G port modules usually adopt LC connector, they are connected by dual cores while 40G Ethernet specification requires 8 cores connections, just 4 cores used for transmitting and another 4 cores used for receiving. Better advice for 40G Ethernet is that the 12 cores fiber cabling solution, each channel has 4 special transmitting fiber and 4 special receiving fiber, middle 4 fibers remain free. 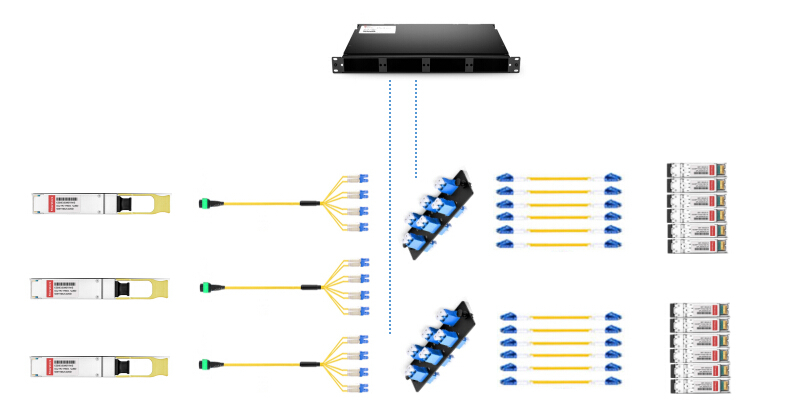 100G Ethernet solution requires to make 24 fibers, it divided into two 12 fibers, one for receiving and another for transmitting, and each of the array, middle 10 fibers used for transit traffic, the two fibers on the ends are setting free. Several years ago, once we met customers who wants to know if our transceiver modules support 40G and 100G ports, we will tell them that some suppliers who launched the 40G and 100G optical transceiver module are mostly based on previous 40G/100G draft, they are not the standard ports, and different vendors exist connection trouble, so we are all not sure. But nowadays, with the mature development of 40G and 100G cores, many supplier launched them their own fiber optic transceiver. In the field of 40G and 100G, device manufacturers adopt the advantage of long term evolution and 40G network which focus on 100G network communication equipment. In fact, it is the estimated results that operator who faces with 40G and 100G network. In the next year, 40G long distance transmission network market supplier will launch the 100G network transmission devices, it will bring a big challenge to the operator. The fact dedicates that fiber optic device operators will do double budgets for current production to meet the demand of the future developments. In the network market, WDM devices are quite popular between global operators. It makes the sales of the products to improve highly. Adjustable and pluggable optical transceiver module, such as XFP, become quite popular in the ROADM network market, it will broaden the network scopes of operators, includes IP/Ethernet CMTs, OLTs FTTH, DSLAMs. 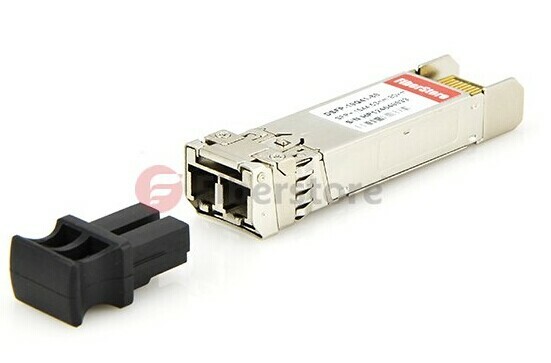 As for the 10G SFP+ transceiver module, such as 10G SFP+ 1550nm 80km, it sales reached three times, they are primarily applied into 10G Ethernet and 8G/16G fiber channel. The main reason why development speed of 100G fiber network faster than 40G is that the price of 100G network is lower than 40G, so the much lower LR4 modules will have a great future. Related product: SFP-10G-LR, see at the figure. Faced with the rapid progress of 40G and 100G optical transceiver modules, Fiberstore also research its brand. Including production and sales of 40G and 100G. Fiberstore has high quality and reasonable price. Our fiber optical transceivers all pass certification. If you have fiber optical transceivers needs, Fiberstore will be your first choice.